Banasthali Vidyapith aims at the synthesis of spiritual value of the East and scientific spirit of the West. 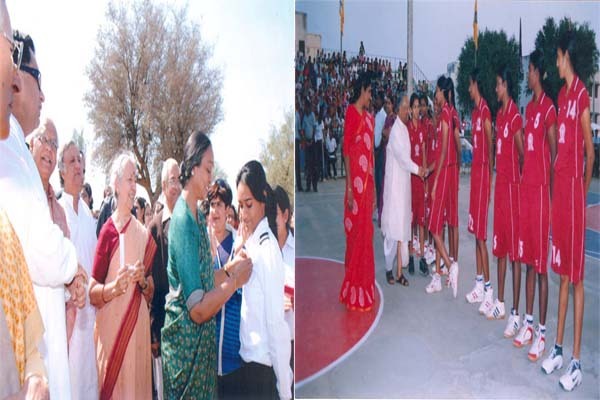 The main thrust of all the activities of the Banasthali Vidyapith is the development of a complete personality. The institution firmly believes that the personality consists of interdependent components, each being equally important requiring equal attention and can only be developed through a wholesome education. The ‘Panchmukhi Shiksha’ which has evolved from experimentation, attempts a balance among the five necessary aspects of education: Physical, Practical, Aesthetic, Moral and Intellectual. Bharathidasan University Offering a number of academic programmes like diploma, P.G. diploma, M.Phil, Ph.D. and also offer B.Tech., M.Tech. and P.G. Diploma courses which operate by self-financing method. Bhavnagar district is known for its cultural heritage and the then His Highness of Bhavnagar Shri Krishnakumarsinhji was first to donate princely state to the Nation. Mahatama Gandhi, the father of our nation studied in Shamaldas Arts College during 1888, which is now run by Maharaja Krishnakumarsinhji Bhavnagar University. Bhavnagar District is situated between 21.18 -22.18 Longitude and 71.51-72.18 Latitude. The total area of the Bhavnagar district is 12048 Square Kms. Career Expert is most well-known educational consultant in Chennai, Bangalore and Delhi. We guide them through every step of admission procedure. We are expertized and have experience in career guidance and counselling for students to make their future.Career Expert co-ordinate with colleges, students and parents in deciding the career path. By doing this, the students can get the best career alternatives. Also, we are authorised by various colleges for students spot admission. Students are assisted and guided by brilliant and experienced panel of counsellors. Our great ideal team’s co-ordination always give best quality service. Chaudhary Charan Singh University (formerly, Meerut University) was established in 1966, to cater to the needs of higher education in western Uttar Pradesh.Ch. 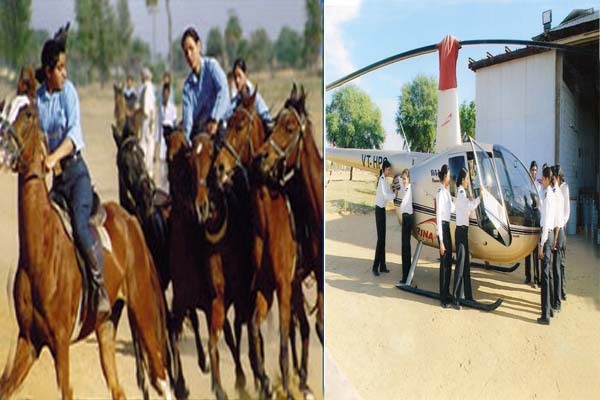 Charan Singh University Offers M.Phil. and master's degree courses in arts, science, education and agriculture. Chitkara University is a leading non-profit private University of North India and has been in the forefront of higher education in North India and boasts of a learning environment that represents a unique blend of distinguished faculty, brilliant students with strong industry collaborations and extensive partnerships with International Universities. The name ‘Banasthali Vidyapith’ was adopted only in 1943. 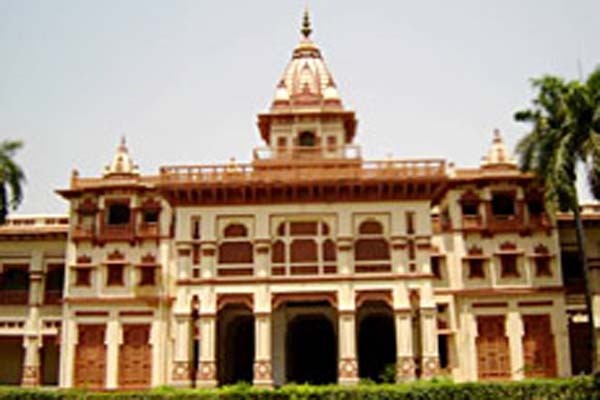 The institution was granted the status of a deemed university in 1983 by the UGC. Prof. Sushila Vyas , the first student of Banasthali Vidyapith was appointed the first Director of Vidyapith. Banasthali Vidyapith’s aim of a full and balanced development of students' personality got concrete expression in the form of 'Panchmukhi Shiksha' which evolved out of initial experimentation. Banasthali Vidyapith has been conceptualized to materialize the ethos of nation-building and Indian Culture. 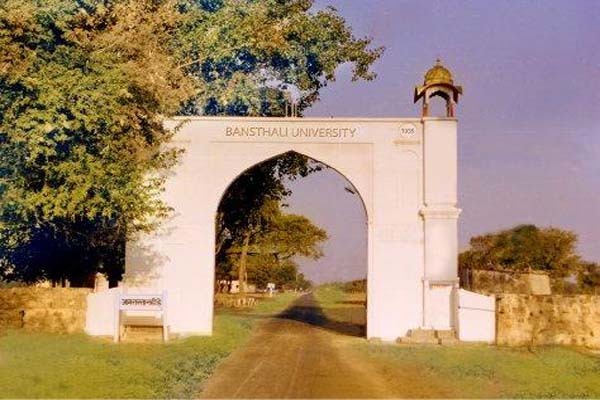 Banasthali's whole architecture stands upon the twin foundation pillars of Nationalism and Indian Culture. The architects of the Vidyapith believed that an educational programme should be able to promote the development of a balanced and harmonious personality of the students. Vidyapith’s initiative to inculcate spiritual and moral values in the students through various activities, emphasizing character-building and simplicity.